Brighter living: a promotional image for STRATA. The promotional campaign for the novel and ambitious new Bricolage Productions show suggests (perhaps with a wink) that it's interactive theater crossed with a personal-empowerment course. Audiences for STRATA are meant to "achieve brighter, clearer and happier living" through something called "iConsciousness®." 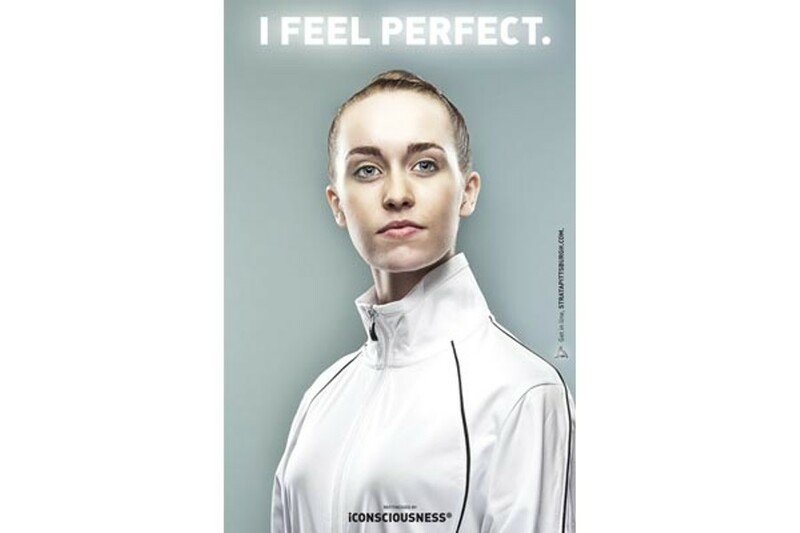 The posters depict people dressed identically in silver tracksuits, looking beatific. Theatrically, STRATA (Strategic Testing and Resource Agency) took shape partly thanks to Bricolage artistic director Jeffrey Carpenter's experience with El Eco de la Sombra, the much-discussed 2008 show here by Spanish troupe Teatro de los Sentidos. Audience members, solo, navigated a labyrinth housing multiple chambers, each outfitted with dreamlike sights, sounds and scents. "I felt like each room was a gift just for me," says Carpenter, who also served as crew. El Eco "challenged the notion of how to engage an audience. … It was a rite of passage through 15 separate chambers." 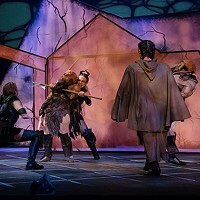 STRATA, devised by Carpenter and Bricolage producing artistic director Tami Dixon, also has a choose-your-own-adventure quality — something like the live-action role-playing games favored by some historical or fantasy enthusiasts, says Dixon. Role-playing video games are another reference point. Carpenter calls it "theater for one … this really intimate, personal experience." Bricolage won't divulge many details, but the two-hour STRATA experience will work something like this. 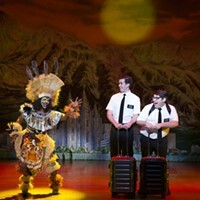 You're encouraged to buy tickets with a partner, or several. You'll receive an email revealing the secret Downtown location. There you'll meet a guide who'll take you to the "refitnessing center," an undisclosed building nearby. Then, you'll begin your journey through the big building's carefully designed rooms and floors, where your participation affects the outcome. A cast of 22 performers scattered throughout shape and facilitate the experience. Expect complexity: The STRATA website already features a guerilla-style "anti-STRATA" campaign warning, "Beware LIES." STRATA is a collaboration by artists including Carpenter, Dixon, Gab Cody and Sam Turich. 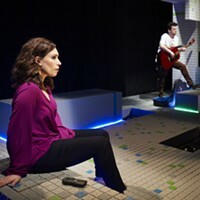 But in the environment designed by Riley Harmon, Andrew J. Paul and Nina Sarnelle, and engineered by fellow local El Eco veterans Clear Story, audience reactions should be idiosyncratic and unpredictable. "The way this show works will be purely yours," says Carpenter.